There was a time when Robert Johnson drank a soda a day. He was heavier, and he had tendonitis in his wrists, and he found himself traveling the Midwest in search of the best flavors of root beer. Robert Johnson, left, and Tom Brookshire, right, at Crossroads Kombucha. To Johnson, that seemed like a lot of sugar to be dumping into his body on a regular basis, so he decided to replace his root beer habit with something healthier, something that would still give him the fizz and flavor he craved. He decided to try kombucha, a fermented tea, often sweetened with juice, and he says the change was almost immediate. Within weeks, the tendonitis in his wrists seemed to dissipate, and within months, he lost weight. But if you know what kombucha is, then you know that it’s something you sip, not necessarily something you gulp. The fermentation process can give it a potent, vinegary flavor. So Johnson started experimenting with kombucha recipes at home to make the drink more delectable. What he came up with was a lightly fizzy concoction that satisfied not only this taste buds, but also his diet—with less than one gram of sugar per serving. And it sold. First to family and friends on Facebook. Then to local markets and restaurants, and this year, he’s hoping to sell in 10 states. 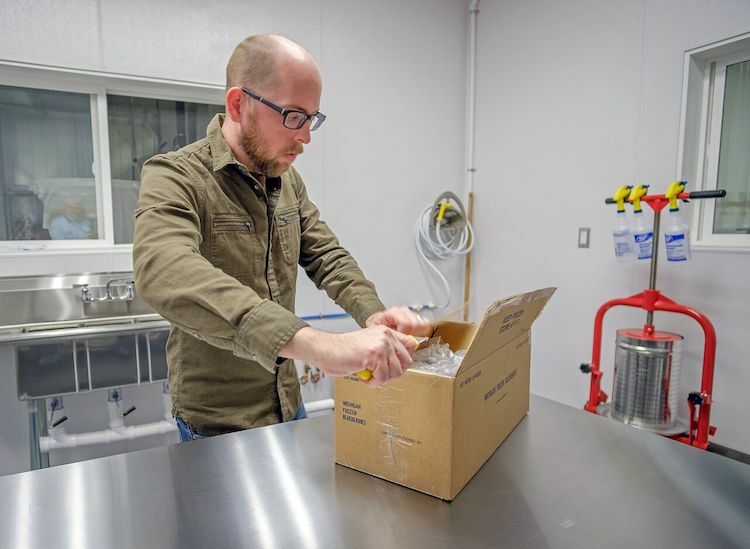 He calls it Crossroads Kombucha, and with the help of his business partner, Tom Brookshire, he’s using natural, regionally grown fruits to create 10 flavors of drinks that could put Fort Wayne on the map for all of the right reasons. 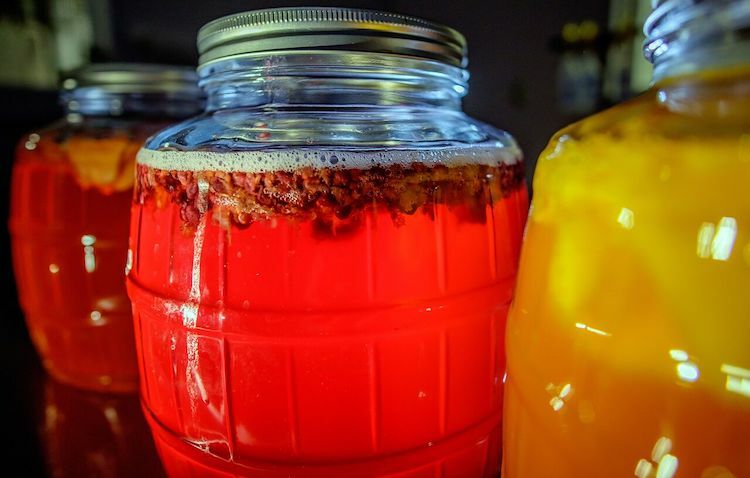 While Indiana has long been considered one of the least healthy states, Johnson and Brookshire say it’s also part of the “berry belt” where access to fresh, local fruit in products like kombucha could help turn things around. None of their drinks have more than three grams of sugar, and while kombucha may seem like a health fad, indicators show that it’s not going away anytime soon. 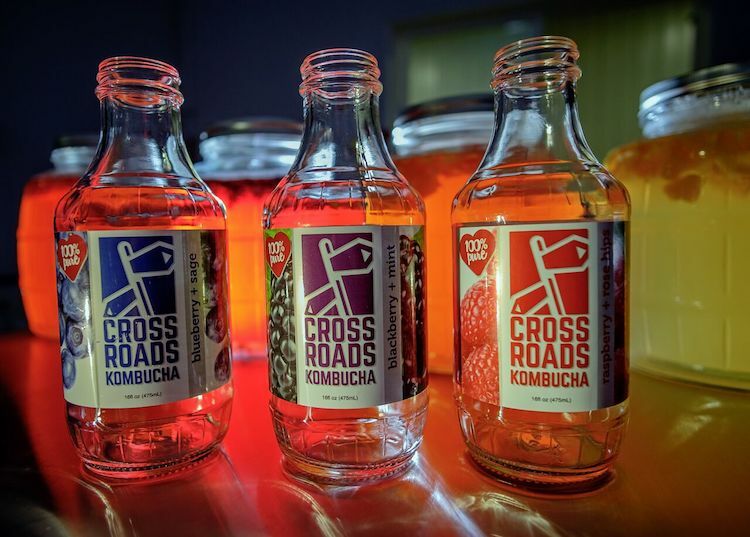 Crossroads Kombucha is made and bottled at a warehouse on the Northwest side of town. According to Forbes, kombucha is the fastest-growing product in the functional beverage market with sales estimates of $1.8 billion by 2020. Even big soda brands like Pepsi are launching their own versions of the drink with beverages like KeVita. But while kombucha sales and awareness have greatly increased in the US over the last two years, but there’s still confusion about what the drink actually is. Kombucha originated in ancient Asia, where it was thought to be the “Tea of Immortality” in China and later carried into battle by Japanese samurais for an energy boost. Robert Johnson unpacks a box of frozen blackberries from Tanglewood Berry Farm. 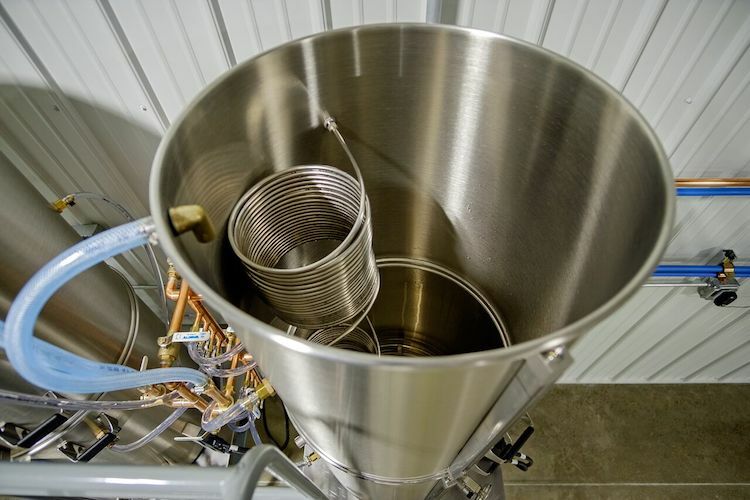 It didn’t come to the US until the 90s when it was slowly popularized by homebrewers in California. Essentially, it’s made with a fermentation process similar to that of beer and wine, but it’s alcohol content is not high enough to make it an adult beverage. It’s a mixture of sugar and tea that’s fermented with what’s called a SCOBY, or a “symbiotic culture of bacteria and yeast,” and it works sort of like a science experiment. The SCOBY is placed into the sweetened tea, and it feeds off the sugars in a process that takes about one week. The end result creates a host of beneficial bacteria, yeasts, and acids that are often sweetened with juice. 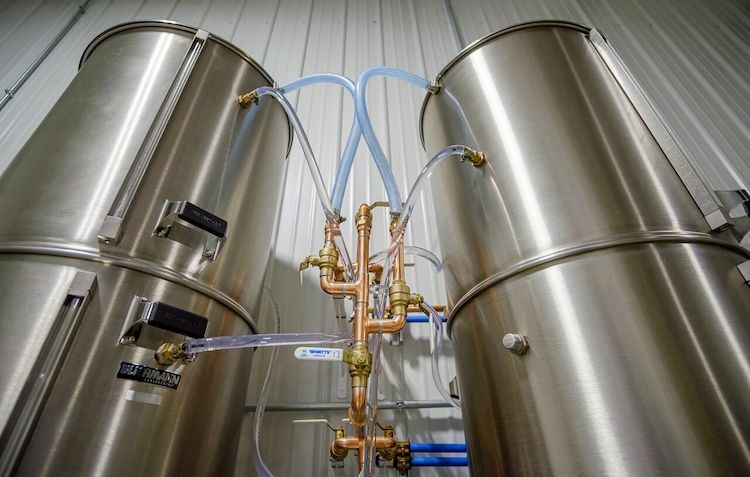 Crossroads Kombucha sources their equipment from local suppliers. While proponents say the tea has health benefits and healing powers that aid digestion and even help prevent cancer, few medical studies have confirmed these claims. What everyone seems to agree is that the drink contains B vitamins and may offer health benefits similar to probiotic supplements, improving immune system function and preventing constipation. Plus, Johnson notes, it has way less sugar than soda or juice. Fresh, regionally grown fruit is used to sweeten Crossroads Kombucha instead of juice. The first US kombucha brand to make it big was GT’s Living Foods, which makes its popular organic kombucha and Synergy drinks that have stocked health food markets for the last 23 years. But while GT’s may be the largest producer in the US, it’s also one of many national kombucha brands that made Brookshire think he didn’t like the drink in the first place. He explains that his wife attempted to get him to drink kombucha for years, but he refused because of its harsh vinegary smell. Then he met Johnson in a chance encounter at church one Sunday and realized the budding business owner could use some advice. At the time, Johnson was making kombucha out of his house and selling it to friends and family, or at local markets like the Health Food Shoppe. Johnson and Brookshire had to make their own kombucha setup. 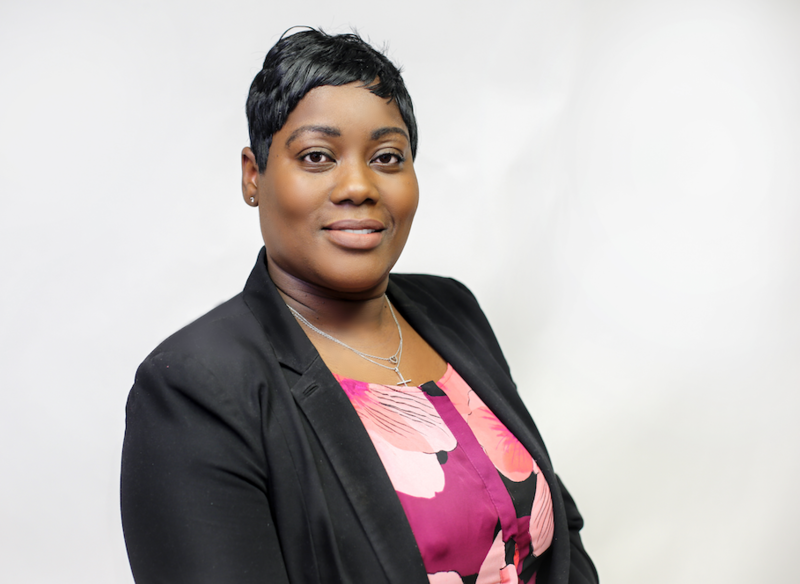 But while sales weren’t an issue for him, managing a growing business was, so he met with Brookshire, who owned salons and spas, for business advice. Then, when Brookshire tasted Johnson’s kombucha, he changed his opinion about the fizzy beverage. “I was like, ‘This is actually enjoyable. In fact, I would pick this up and drink this with my lunch,’” Brookshire says. Johnson says the difference in his kombucha is the type of tea he uses—green tea, not black tea—as well as the fact that he uses natural, locally grown berries and fruits to sweeten his kombucha instead of juice. But while Brookshire believes Johnson’s method tastes better and is healthier than the national brands, he explains that it also requires extra work. Nobody is mass producing kombucha the way Johnson makes it, so they had to build their systems from scratch. 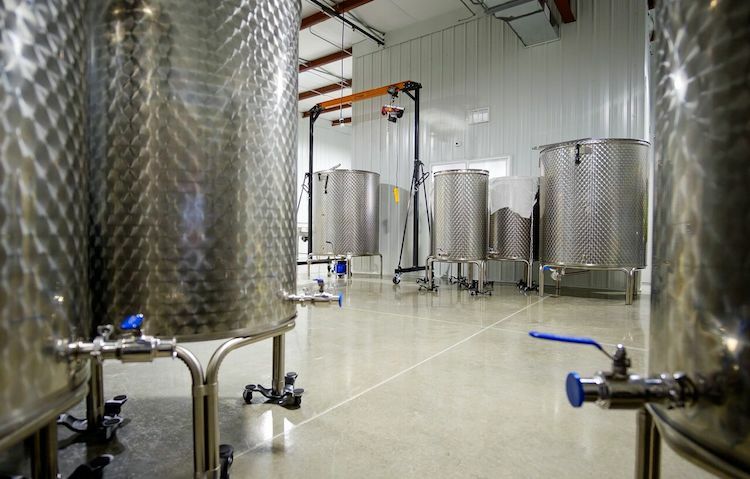 Inside, Crossroads Kombucha looks like a brewery with steel equipment. 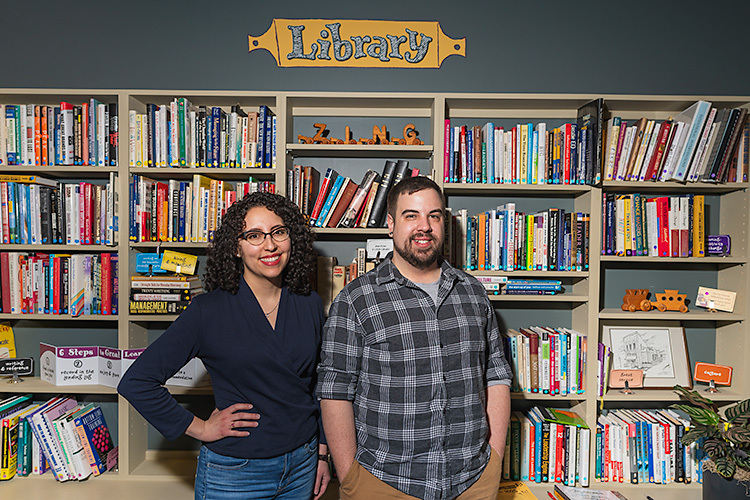 The company recently upgraded its space, and moved into a warehouse at 810 Donnell Avenue where they cobbled together equipment used by breweries and wineries to make their kombucha system the way they think it should be done. As the two walk around a large white room pointing out various pieces of shiny steel equipment, they explain that they’re planning to hire eight more employees later this year to keep up with demand for their product. 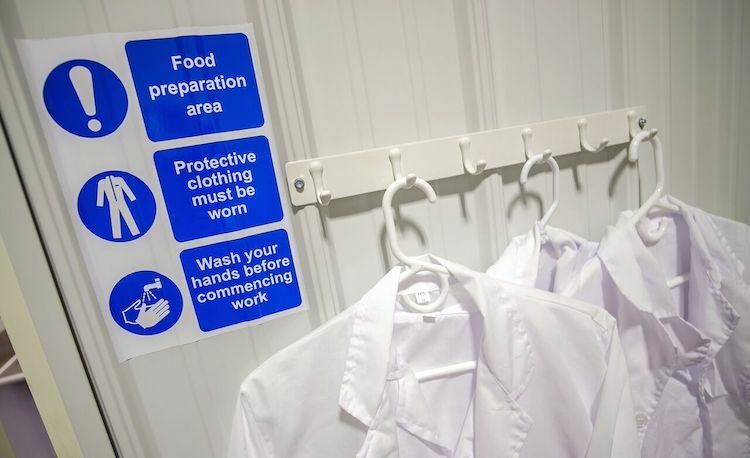 To prevent contamination, Crossroads Kombucha has a prep area that is sealed off, requiring full body suits, gloves, and hairnets. Johnson answers the door, and it’s Christina Hay, the owner of Freshii in downtown Fort Wayne. She’s here to pick up her weekly supply of kombucha, and she’s back early. Johnson delivered to her shop on Saturday, and by Tuesday she’s sold out. 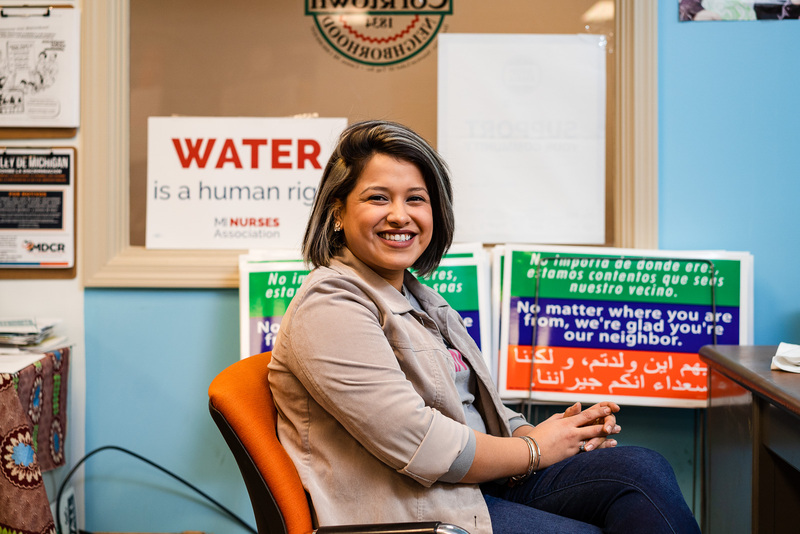 “We have so many people who continue to ask for it all the time, so I try to get as much as I can, as often as I can, because our customers love it,” Hay says. Johnson explains that kombucha sales go even faster at local food markets where people often buy more than one bottle at a time. 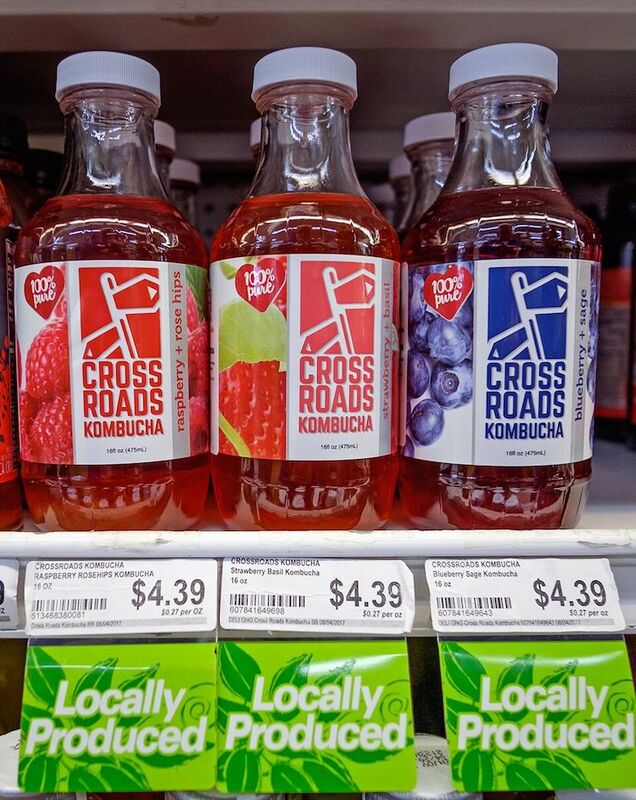 Crossroads Kombucha is sold at local health markets, like the 3 Rivers Co-Op. 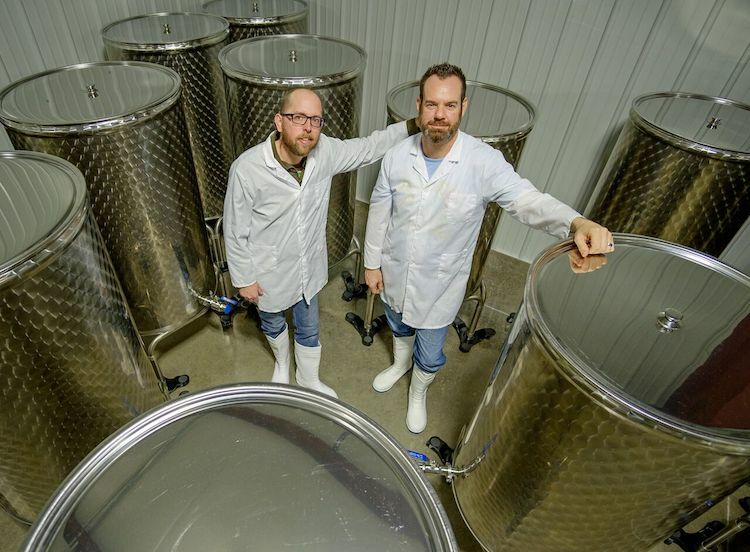 Along with Crossroads Kombucha, other local kombucha makers have started brewing the product in northeast Indiana, like Divine Living at the Ft. Wayne Farmers Markets. Producers are popping up in Indianapolis, as well. Hay has been keeping tabs on Fort Wayne’s growing list of healthy eating options at her shop, and when she was sourcing a kombucha brand for Freshii, she wanted to find one that was not only healthy, but also tasty. Of all of Crossroad Kombucha’s flavors, Hay says she probably sells the most of the Mango-Strawberry and Raspberry-Rose Hips. Other, seasonal flavors like the Lavender-Grape are popular, too, Brookshire says. But since Crossroads Kombucha uses local fruits, these flavors aren’t always available. They source berries from Tanglewood Berry Farm in Fort Wayne and other farms in Ohio and Michigan. “The Midwest is the berry belt,” Brookshire says, mentioning how the region’s geography makes it a prime place for making kombucha from fresh ingredients. 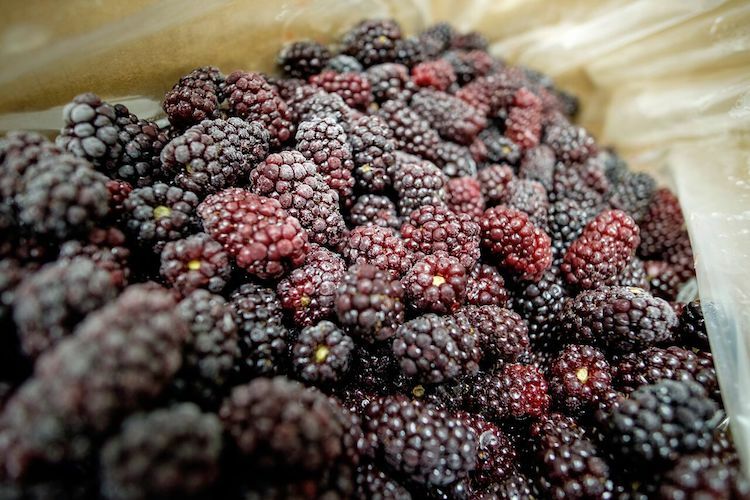 Blackberries from Tanglewood Berry Farm are used in Crossroads Kombucha. Taking advantage of that fact, Johnson says they’re hoping to become the go-to brand for kombucha made from real fruit nationwide. For a self-described “Midwestern boy” like Brookshire, that means giving the rest of the country a taste of what it’s like to live in northeast Indiana. 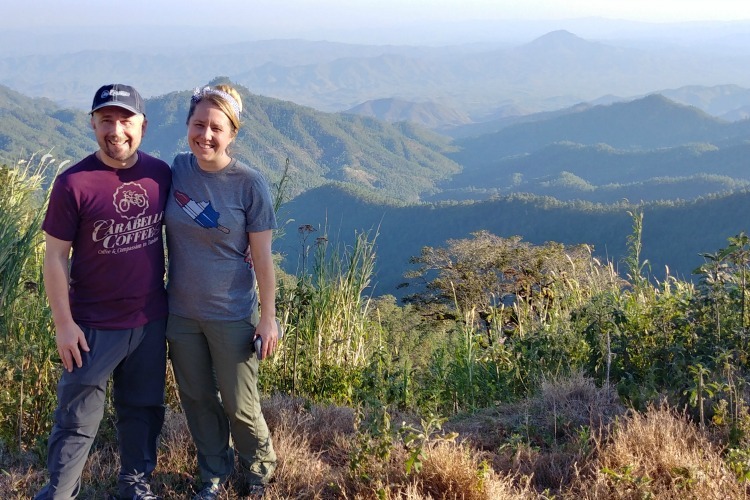 When he drinks his favorite Crossroads Kombucha flavor, Raspberry-Rose Hips, he goes back to the days he spent volunteering for ACRES Land Trust, clearing paths amidst Indiana's wild raspberries, and enjoying those sweet summer sunsets. Crossroads Kombucha is sold locally at Freshii, Three Rivers Co-op, Health Food Shoppe, Teds Market, Joseph’s Herbs & Vitamins, and on the food truck, Head2Hock.